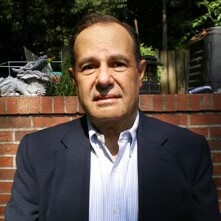 George Lindenfeld, Ph.D. is a Neuropsychologist and founder of the Medical Psychology Center in Asheville, NC, which specializes in the evaluation and treatment of traumatic life experiences. RESET is a unique PTSD treatment and stands for Reconsolidation Enhancement with Stimulation of Emotional Triggers (RESET). George uses the VA PTSD standard of care, PET, augmented with bi-neural sound (different sounds in each ear) which the brain reads as disrupting the re-formation of memory in the brain. RESET doesn’t take away the memory – it takes away the emotional aspects of the trauma. “The veteran is now highly engaged and returns to ‘who they used to be’” and this treatment has demonstrated rapid and enduring remission of the emotional aspects of PTSD. George says: “Remain skeptical. Don’t trust me. Trust what the results demonstrate.” If PTSD is a “pissed off cobra”, as some combat veterans say, then the RESET therapy dismisses and removes the beast. RESET is also effective for secondary PTS or trauma, and clinical trials begin in August in the Sarasota area. You can reach George through LinkedIn for more information: http://bit.ly/Lindenfeld, or by email at glindy123@gmail.com. Click below to listen live, or download the broadcast here: http://bit.ly/1TYAAS3. Also available in iTunes podcasts under Military Network Radio, Stitcher, and Google Play. Air date, 07Jun2016.